To meet hiring obligations, companies, municipalities and prefectures are increasingly turning to people with disabilities who would rather work from home than endure the hardships of a daily commute. Amid a growing manpower shortage in urban areas, more companies are turning to telecommuting or telework to secure a reliable workforce. The telecommuting trend is easing the employment concerns of people with physical disabilities and mental disorders, as well as those residing in rural areas. Kazuma Minowa, who lives in Asahikawa, Hokkaido, began working as a nonregular employee for Tokyo real estate firm Kachi Jutaku Inc. last December. Working 21 hours a week, he collects real estate information online and creates floor plans for the firm from a laptop computer. But Minowa, 32, developed a mental disorder 15 years ago. Although he had a job back then, his symptoms worsened and he had to quit after about six months. Later, he sought the help of an employment agency that suggested he try telecommuting, and was hired by his current company after attending a telecommuting event last fall. The employer provided Minowa with a computer equipped with the software needed to do the job, and he can communicate with the company’s office in Tokyo at any time via the internet. “It’s like being at the office. But even if you’re not feeling well, you can take advantage of being at home and work without caring about your surroundings,” said Minowa, who hopes to stay with his current employer as long as possible. According to Telework Management, a consultancy that works for the Health, Labor and Welfare Ministry promoting telecommuting for the disabled, more people are inquiring about jobs they can do from home. Last November, the company immediately filled all 120 seats for its seminar in Tokyo. In response to growing labor shortages, the legal requirement for hiring disabled workers was raised to 2.2 percent of a company’s workforce in April, with the category expanded to include people with mental disorders. But amid a shortage of disabled workers in the metropolitan area, companies are seeking employees based outside the city in order to meet their legal requirements.While companies are only required to hire disabled people if they have 45.5 employees or more, many say interest in telecommuting is growing regardless of size. Masanori Takahashi, president of the real estate firm where Minowa works, a company with fewer than 20 employees, said working remotely will soon be a necessity. Governments are responding to the trend as well. 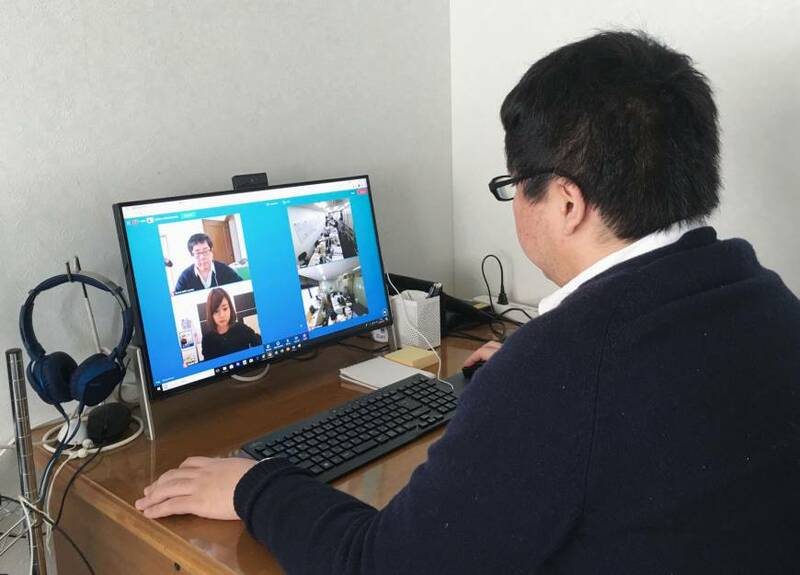 Since fiscal 2016, Asahikawa officials have held briefings for companies promoting telecommuting for the disabled, resulting in 21 people being hired by two private companies outside the city. Kochi Prefecture in Shikoku has advocated telecommuting since 2016. Fukuoka is considering doing the same in fiscal 2019. “While there are a lot of companies that are concerned about changes in their employees’ health, it’s possible to get support through local disability employment services agencies,” said Rie Kuramochi, a consultant for Telework Management. Kuramochi emphasized that it is important for companies to devise ways of sharing work among employees and that firms should prepare to accept these new hires.